I’ve had my first hit with the Angell TC 95 18×20 (320 grams, 31,5 cm balance, 63 RA unstrung / strung with MSV CO-FOCUS 1.18 at 23 kg) and here are some early thoughts. 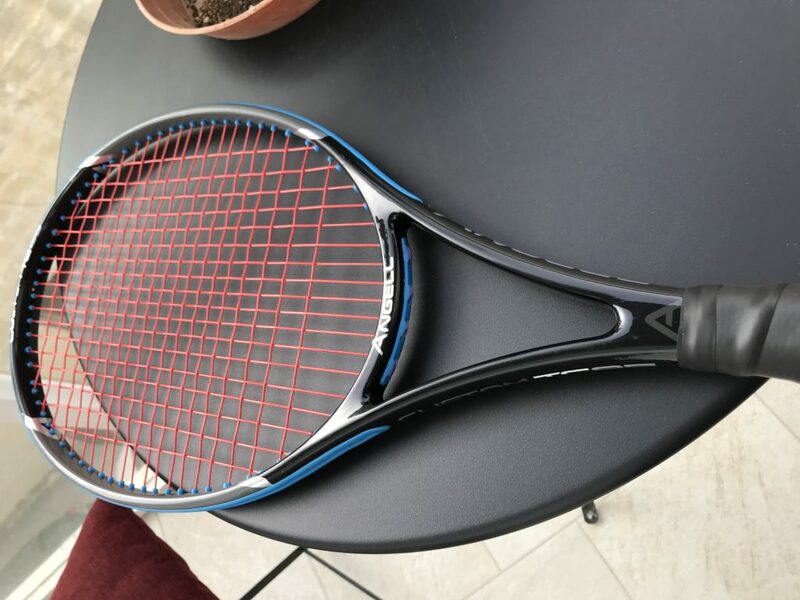 Lots of racquetholics and people in the tennis community has raved about the Angell TC 95 and as you know I really like Angell racquets and use the Angell K7 Red these days for competitive play. However, I used to play with the HEAD Radical Liquidmetal Tour and have always been more comfortable with 95 sq inch racquets, but lately I’ve just realized that lighter and larger racquets are easier to play with and the tradeoff on control isn’t enough to stick with the smaller sweet spot. This might change of course. I’ve been a gear-head and tennis nerd long enough to understand my weakness for new racquets and the “fantasy” of reinventing my game through buying stuff. It’s simply too much fun not to test racquets and enjoy the sensation of hitting a ball with a different racquet. The racquet feels more powerful than I thought considering the specs. I’ve hit it with a control-oriented string in the MSV CO-FOCUS 1.18 (yet with a thin gauge) and I still felt I had to dial it back a bit to hit within the lines. Since I’ve been playing a lot with 95 sq inch racquet, this wasn’t too difficult, but I felt I needed a bit more stability on my shots which is why I’m putting lead tape at 3 and 9 for my next session. For the practice match I didn’t feel confident enough to use the Angell TC 95 so went back to my old HEAD LM Radical Tour in an effort to also compare the racquets early on. Since I’m more used to playing with lighter racquets with a larger head size these days, hitting a 95 sq inch racquet again required a bit of an adjustment. You need to prepare your swing better and with a smaller sweet spot, it’s more suited to flattening out your shots than playing with more modern, spin-friendly technique. I definitely felt I needed more time to find the sweet spot after playing a few weeks with 98-100 sq inch racquets. Despite the tight string pattern, I felt the TC 95 could generate some good spin with the right technique. If you crave a little extra launch angle on your shots, this might not be the racquet for you. 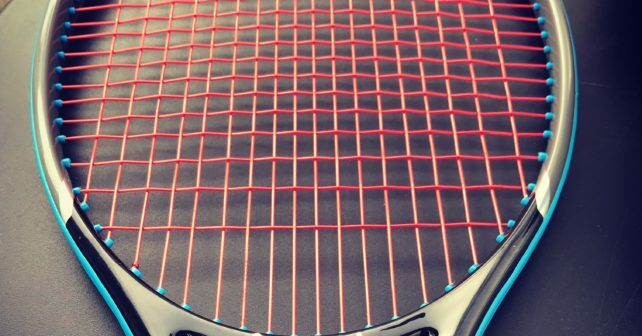 The TC 95, like with many other 95 sq inch racquets, gives you what you put into it. I really felt confident placing the ball with the Angell TC 95. As long as you find the sweet spot you get pinpoint precision on pretty much all shots and it volleyed well (I’m sure it will perform even better with some more customization). Despite being more powerful than I had imagined, there were no comfort issues with the Angell TC 95. On my first outing I didn’t feel it as plush as the K7 Red, but possibly I should have put in a gut/poly hybrid instead of a full bed of MSV Co-Focus . I have only had one hit so far, but in general I enjoyed the TC 95. It felt more solid than its weight, offered a nice feel on volleys and touch shots and was definitely a comfortable racquet to play with. I would say I found one outstanding area so far, but it did pretty much everything well. Personally, I want a little more plow-through and stability in the hoop so will be interesting to see what happens when I add a bit of lead tape. Have you played the Angell TC 95? What did you think of it? Please comment below! Giving that the K7 that you like has the 16×19 pattern, how come you did choose 18×20 on this “smaller 95 headsize” in front of 16×19 TC95 63ra? I know you also did test 18×20 when testing out the TC97 a while back. I have read tc95 16×19 is “wide open”. Maybe too open pattern? Maybe K7 has a denser 16×19 than TC95 16×19? Personally I do not like the really wide open 16×19 patterns. Prefer something like the one in Yonex DR98.